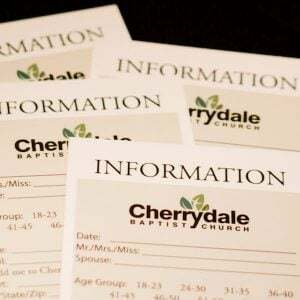 From 2018–2022, Cherrydale’s missions program is focusing on Syrian refugees, specifically people from four unreached people groups: Syrian Arab, Kurmanji Kurd, Druze, and Romani. (An unreached people group is one which would likely never hear the gospel in their distinct culture and language.) Learn more about Focus for Four. Why is Cherrydale focusing on Syrian refugees? Syria is a predominantly Muslim nation, with 19 unreached people groups (UPGs). Due to years of civil war, however, millions of Syrians have left their country and are now living in areas that can easily be accessed by missionaries. During the Focus For Four investigative trip, the team met people from four UPGs: Syrian Arab, Kurmanji Kurd, Druze, and Romani. We have been presented with the opportunity to reach these war-torn people with a message of hope and the love of Jesus before they return to their native country. Many refugees live in depressing conditions, and lack normal day-to day life activities such as employment or school. They are desperate for any messages of hope and may be more open to hearing the gospel and investigating it on their own. Many are disillusioned with Islam because of the conflict. April 12–20, 2019 Focus for Four Trip to Lebanon; led by Ed & Kathy Grudier. Applications are no longer accepted. View frequently asked questions about short-term missions trips and contact Pastor Ed Grudier with additional questions. Learn about our other 2019 short-term missions trip. A person who has had to leave his or her country because of persecution, war, or violence. Why have Syrians fled their country? Because of armed conflict that began in 2011 between the Syrian government and protesters. Since then, people have been fleeing the country to escape the violence. As of April 2018, half the country’s pre-war population (estimated 11.4 million people) have been killed or forced to flee their homes. About half of refugees from Syria are children. Where have Syrian refugees fled to? Mostly to the countries near Syria: Turkey, Jordan, Lebanon, Iraq, and Egypt. A small percentage have made it to Europe. What is life as a refugee like? Although they are no longer facing the threat of violence, life for a Syrian refugee is still very difficult. They have left homes, businesses, schools, jobs—nearly their entire way of life. In many areas, basics such as food, water, shelter, and medical care are not readily available, despite aid efforts from local and international organizations. As the years of conflict continue unabated, humanitarian efforts cannot keep up with the needs. Religion: Syrians are 89% Muslim. Only 0.16% percent are evangelical Christian. Languages: Arabic is the most common language. Many have a basic knowledge of English, but only a small number are proficient in it. Food: Common Syrian food includes pita bread, hummus (chickpea dip), baba ghanoosh (eggplant spread), mahshe (stuffed grape leaves, zucchini, and bell peppers), shawarma (gyro), and salads such as tabbouleh and fattoush. Baklava is a popular dessert. Everyone drinks cups of tea and coffee throughout the day, served with lots of sugar.